The Mission of the Carroll County Historical Society is Preserving and Presenting the History of the County of Carroll, Commonwealth of Virginia. *The Museum operates the same as the Carroll County School System for inclement weather. Special Events will be announced here and on our Facebook Page. Admission is free, but your donations will help keep our doors open. 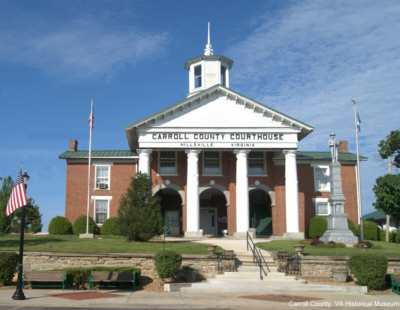 We are located in the 1873 historic Carroll County Courthouse, home of the infamous “1912 Courthouse Tragedy“, at 515 North Main Street in Hillsville, Virginia. Our mailing address is P.O. Box 937 Hillsville, Virginia 24343. Learn about the rich history of Carroll County in the museum located within the Historic District of Hillsville in the Historic Carroll County Courthouse. The facility presents the history of Carroll County and its various communities. Exhibits and artifacts reflect the heritage of Carroll County, which was formed in 1842. Early Native American artifacts recovered from nearby archaeological are also on display. Large Civil War collection including drum used by local unit. The museum has extensive archive and reference materials in its resource section. Guided tours are available of the Historic 1873 Courthouse, which is an architectural gem and site of the tragic courtroom shooting incident in March 1912 (advance reservations requested). 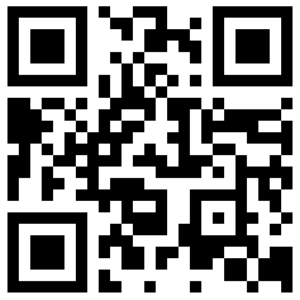 Publication and gift sales are available.